You can now buy a new Bushtracker off-road van in NSW as well as directly from the Queensland factory. After selling more than 2000 vans directly from its Queensland factory over the past 20 years, heavy-duty off-road caravan specialist Bushtracker has appointed its first dealer. 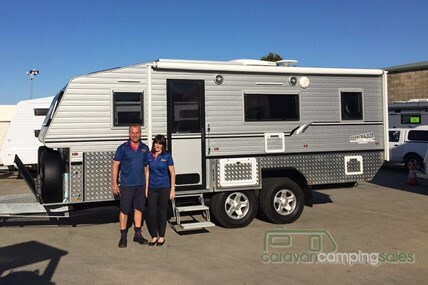 ABCO Caravan Services in Coffs Harbour, NSW has just taken delivery of its first Bushtracker display van, a well-equipped 19ft couple's model priced at $132,000. New Website Launched for ABCO Caravan Services!